The world’s best racehorse, Frankel (4c Galileo-Kind, by Danehill), confirmed himself one of the sport’s all-time greats in front of a packed and appreciative crowd at Newbury on Saturday afternoon. 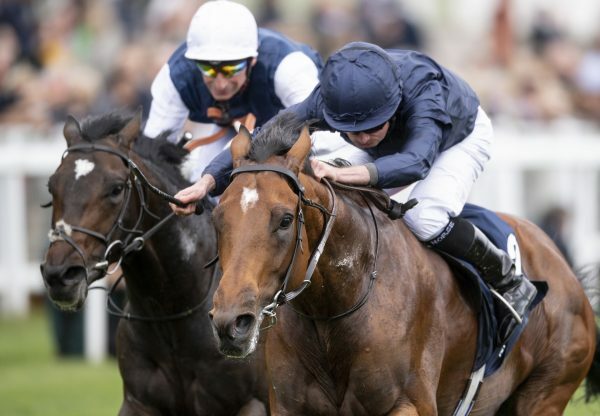 The unbeaten Galileo colt, who topped last year’s World Thoroughbred Ratings, showed no ill-effects from a slight setback in the spring as he turned the G1 Lockinge Stakes into a procession. 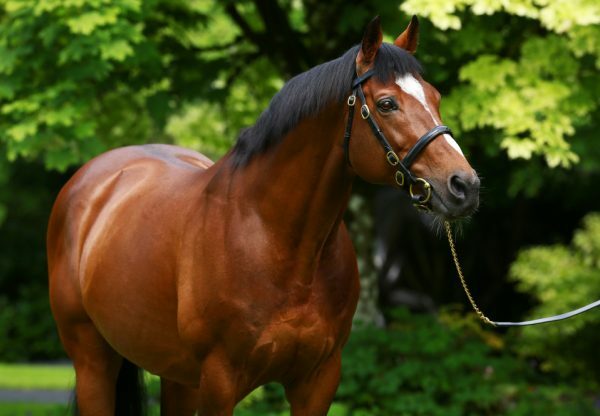 Frankel’s three-parts brother Bullet Train (5h Sadler’s Wells-Kind, by Danehill) tried to set an adequate pace for his illustrious sibling but the race was put to bed two furlongs out when Tom Queally, aboard the winner, kicked on. 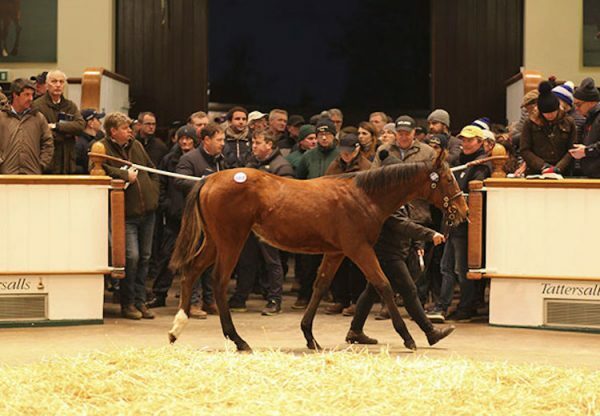 Frankel, a Juddmonte Farms home-bred, eventually finished five lengths clear of the high-class Excelebration in the mile contest but was not pushed to do so. 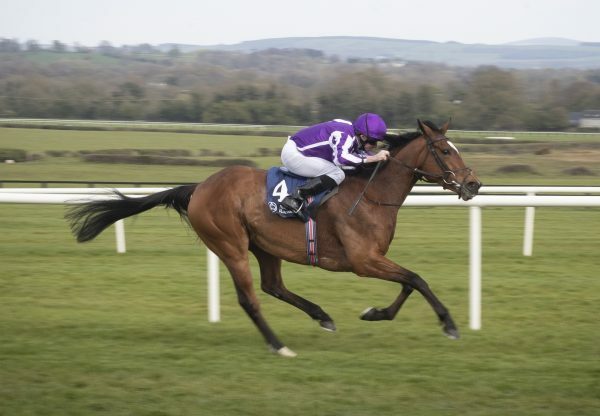 "His first race is never his best, he always improves for it," said trainer Sir Henry Cecil. "This is lovely for racing and thank goodness that he has come through the setback OK. Every sport, they need a champion. It gets everyone involved and it's good for racing. I'm delighted for the Prince (Khalid Abdullah) and the staff. It was nice." Speaking to PA Sport, Cecil added that the G1 Queen Anne Stakes over a mile and the G1 Prince Of Wales’s Stakes over 10 furlongs at Royal Ascot were the two races being considered for Frankel’s next start. "He has definitely got stronger this year and you have to be thrilled with him as when you have a hiccup in the lead-up to the race then it is not very funny and it has not been straightforward. "I’m very lucky to have the horse and he has had a good blow afterwards. He’s in the two at Ascot and we'll take it step by step." Many seasoned racegoers believe Frankel is the best horse they have ever seen and it is not a view with which Queally would disagree. "It's a great relief he's come back. It's great to be on board. He's grown up from last year, he's thicker set," said Queally. "If you look at him now, he's the real deal - he's filled out since last year. He showed that burst of acceleration. He's not like anything I've sat on before."